All virtues are less formidable to Satan once a man is aware that he has them but no virtue is more illusive than humility. The devil hates everything that God loves and of course, God loves humility. 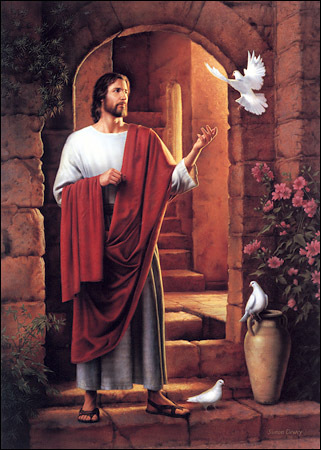 Jesus was humble, meek and lowly. He had the attitude of a servant. You and I are to be like-minded. Humility is the key to everything: ministry, worship, evangelism, missions, fellowship, and a host of other Christian activities. Bottom line: the devil fears humble Christians and will do whatever it takes to move us from humility to pride. Pride is the devil’s blinder. To led a horse out of a burning barn, you have to cover his eyes. For Satan to lead us into destructive habits, he must first blind us with pride. He is very subtle. If we are moving in the direction of humility, he will tempt us to be proud of our humility. If we detect his scheme and cut him off, he will then tempt us to be proud of our shrewdness. We must resist every proud thought and rebuke the source in Jesus name. The devil is relentless when it comes to pride. He will not quit even if we have resisted a thousand times. The devil is also the author of confusion and he will try to convince us that humility is thinking little of self. Humility is not thinking little of self, humility is thinking little about self and there is a huge difference. Satan is well pleased when we are preoccupied with self. Satan encourages selfishness. He wants you to be entroverted. He is thrilled when you look out for number one. What’s happening to those around you is not your concern. You stay focused on you. Satan loves it when we think selfishly. I think that he uses this as the number one hindrance to our worship. We are attempting to woship Christ in a building where nine out of every ten are focused on themself. Actually, if the devil could have his way, he would destroy your self-esteem all together. He would have you believe that your self-esteem is linked somehow to your natural abilities [talents] and your appearance. He wants us to misunderstand true humility. Humility is not a pretty woman thinking that she is ugly or even acting ugly. Humility is not a bright man acting dim witted. Humility is not thinking of yourself as sewer rat or a crawling snake. Humility is understanding that it is not about you at all–it is about Jesus. Humility is acknowledging that your talents and the color of your hair and eyes are gifts from God. Humility is the ability to bow before Christ and to lose your will in His. Humility is the ability to think of others before you think of yourself. Humility is the ability to serve others when you have needs of your own. As Christians, we are on a Battle Ship, not a Cruise Ship. We are under constant attack. The devil will bombard us with vain thoughts. They come practically all hours of the day. “You did good, no one else can do that like you.” Obviously, in my line of work there categories or classes. Pastor’s of small rural churches are never considered successful. They are never honored are recognized at conventions. They can’t sell sermon tapes, they don’t have the ability to write books, at least, not that any will read. According to our Baptist Caste system, I rank in the middle of the lower echelon. That means there are many above me and a few below me. The secret is not to think less of myself because there are many who are more talented and not to think myself better than those who are less talented. To look down on myself or others is to fall into Satan’s trap. I am of the firm belief that our God is able, had He wanted me to be like Adrain Rogers, He would have made me such. I think He wanted one Jack Bailey and one Adrain Rogers. 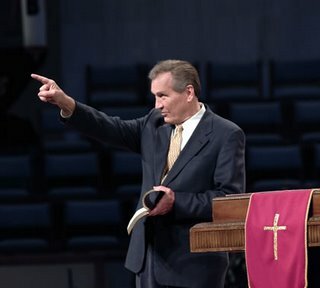 My Minister of music told me a couple of years ago that there was only two major differences between me and Adrian Rogers–He said, “It’s what you say and how you say it.” Yeah, right! That constitutes a tremendous difference but that is fine so long as I don’t feel pressure to be someone who I was not created to be.